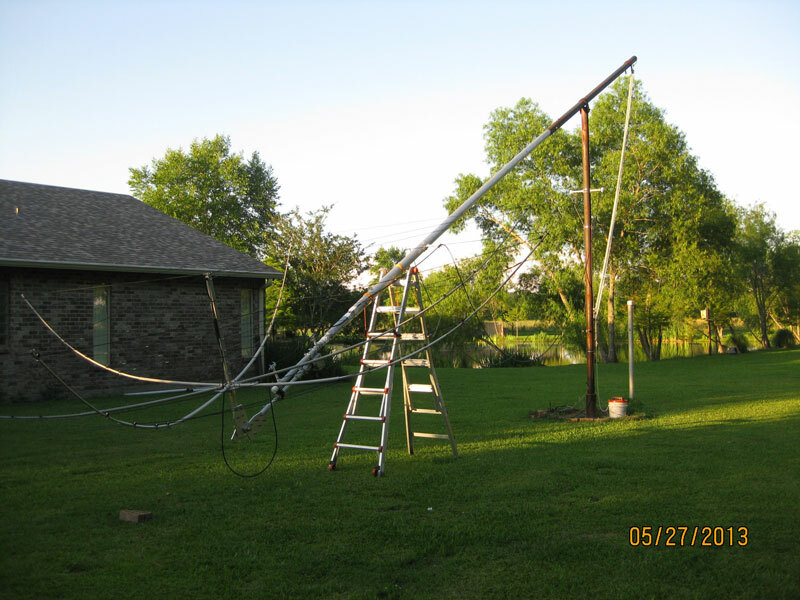 This is a "before" picture showing Jim's homemade hexbeam on a the U.S. 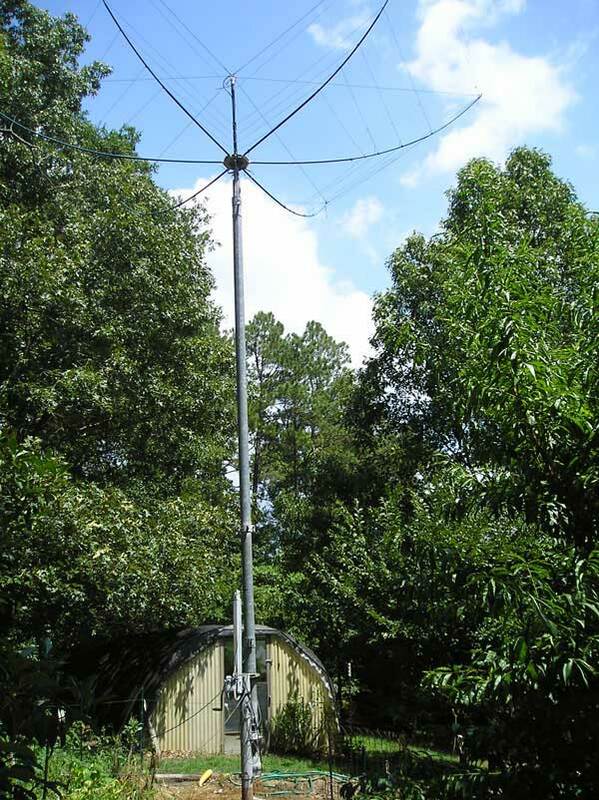 Towers MA-40. 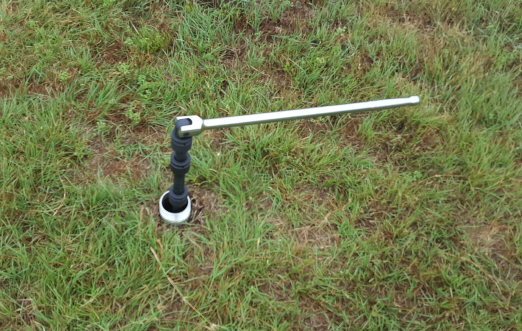 He also has the rotating base with the rotator mounted at ground level. 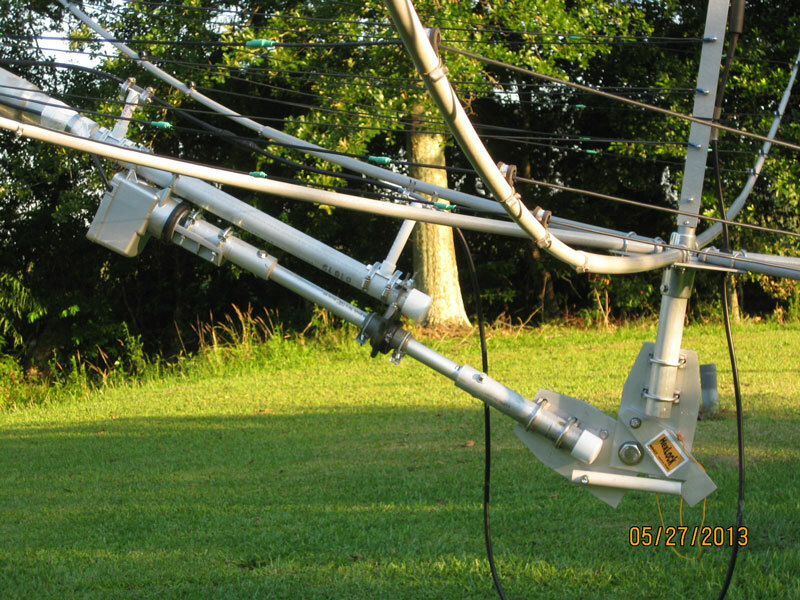 This is a "before" picture with his tower tilted over for maintenance. The hub is about 8 feet off the ground and the tips are up at about 16 feet. Working from a 16 foot step ladder to reach all points can be difficult. 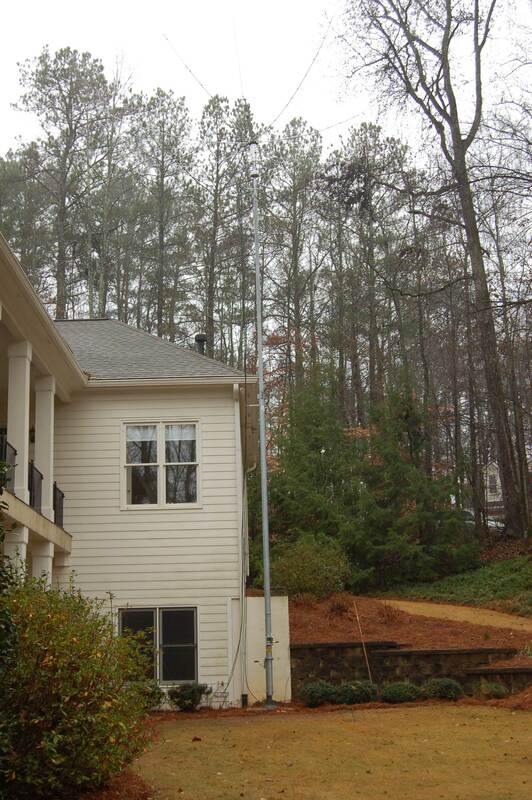 Removing or replacing the antenna can be unwieldy on a ladder. Here is the "after" version with the HexLock installed. 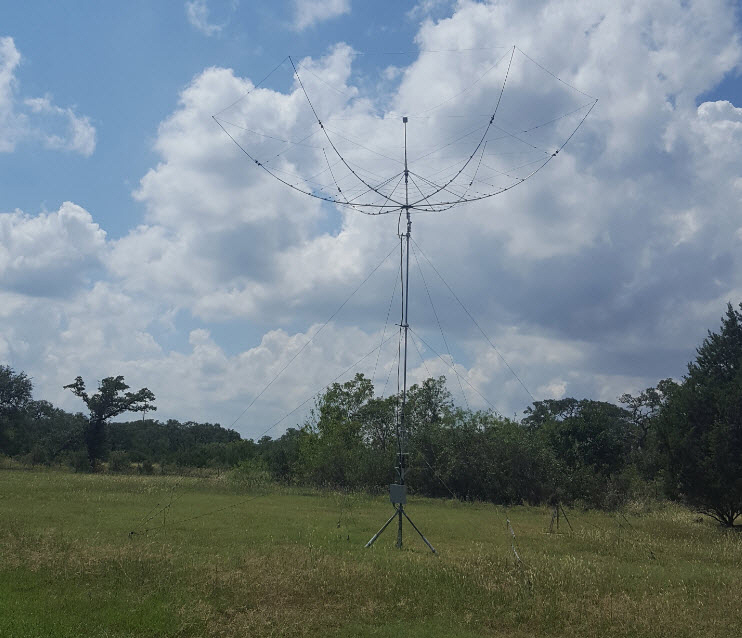 Jim could tilt the tower even further and/or shorten the antenna mast section to lower the antenna another 2-3 feet if desired. 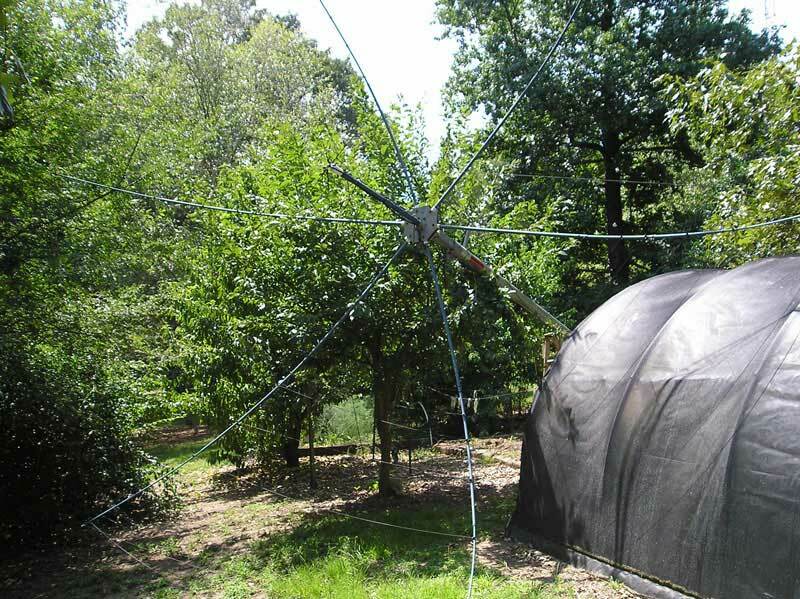 Jim mentioned that his installation is close to the greenhouse and says with others with a little more room will may get even closer to the ground. 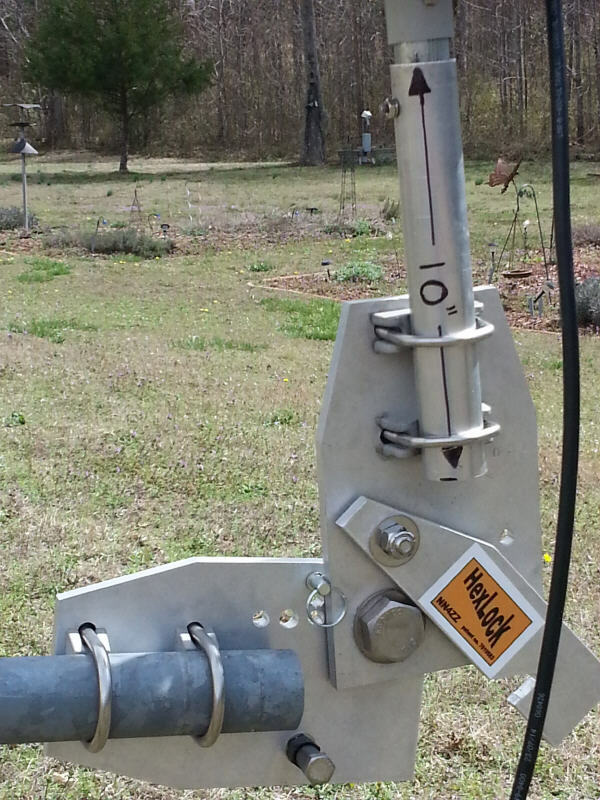 There is easy access to all points and if you need to lift the antenna off the HexLock it can be done from ground level. When raising the tower if you don't have a helper Jim suggested throwing a line over a spreader and then playing it out as you winch the tower back up. 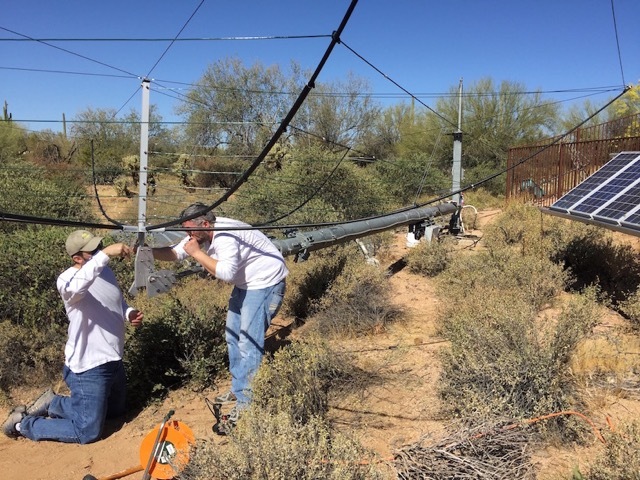 The antenna is being raised. The lock is not yet engaged. Tower is at about 70 degree and the lock has engaged. 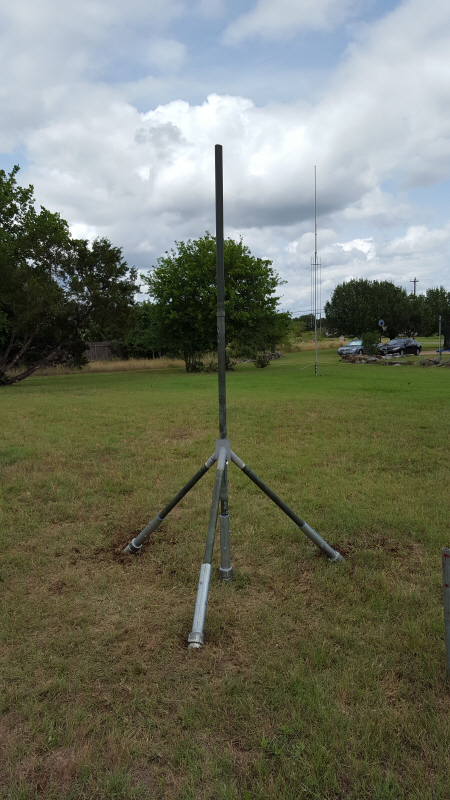 Tower is vertical and ready to raise. 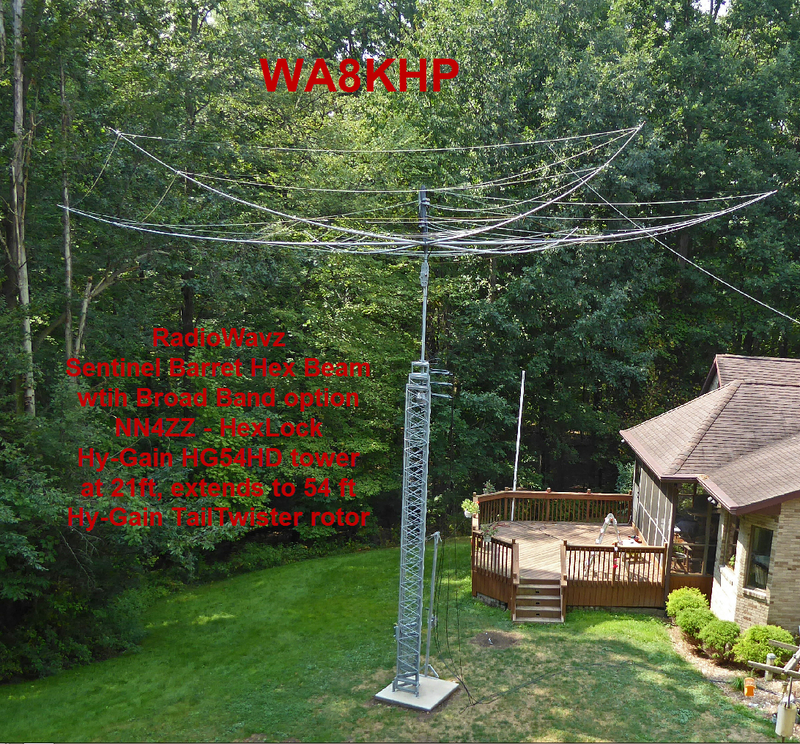 My thanks to Jim for beta testing the HexLock and all of the excellent pictures. 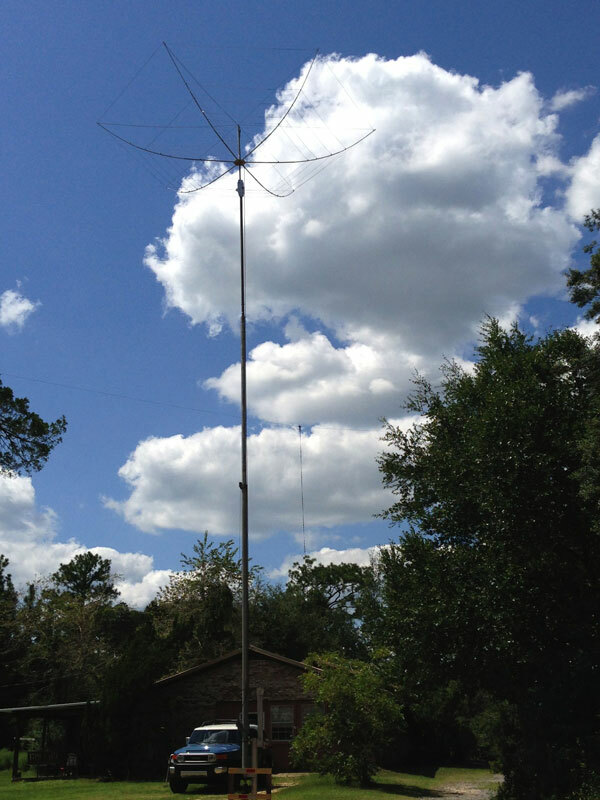 Mike has a 40-ft tilt-over tower and K4KIO Hex Beam. 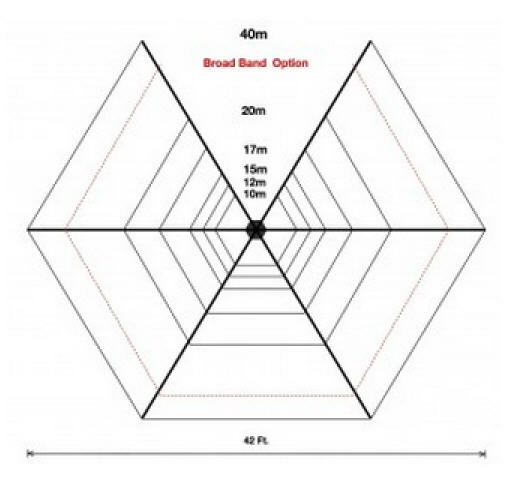 Because the pivot point on the tower is 16-ft above ground, he needs a greater than a ninety degree angle at the HexLock to be able to comfortably attach the beam. 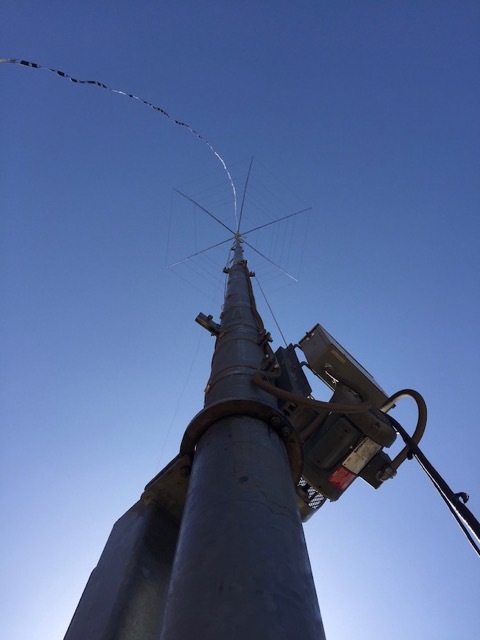 With a ten foot mast & rotator on top of the tower, the angle between vertical and end of the mast on the ground is 135 degrees. 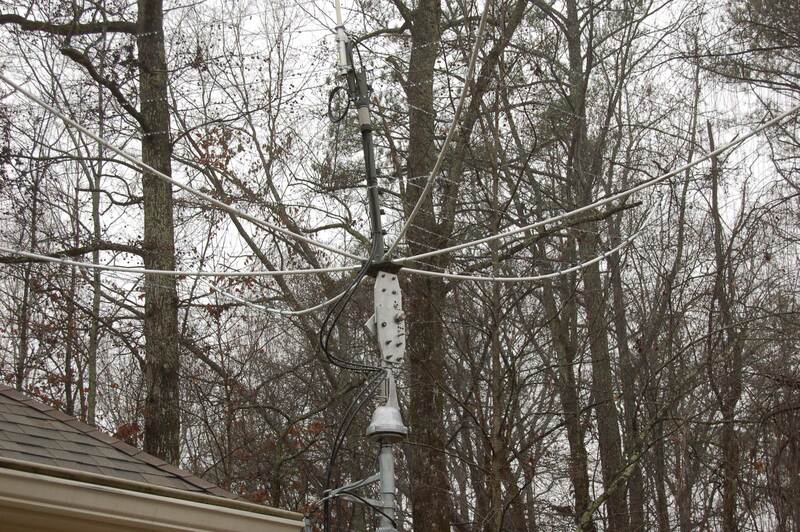 Here's a photo of his HexLock installation. 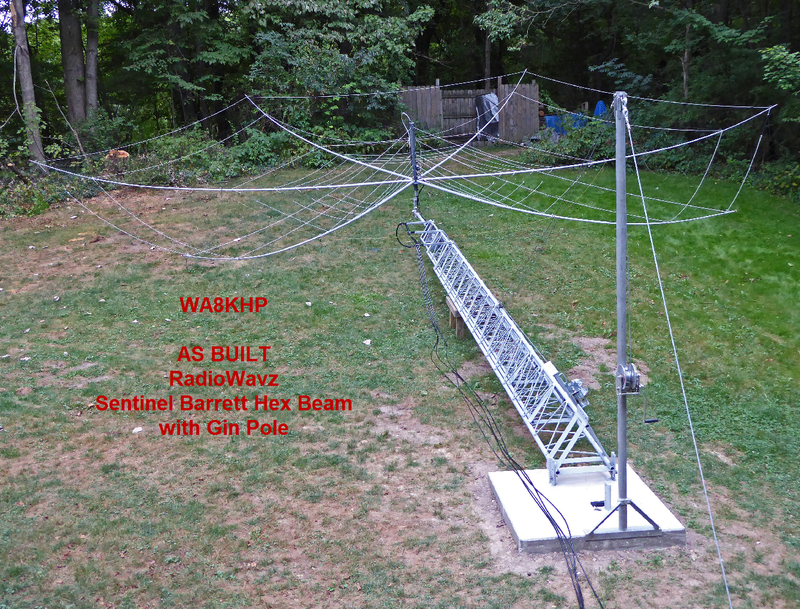 The beam, rotator and HexLock have been up for about three weeks now. Have cycled the tower from ground position to upright and back several times. Works like a charm. 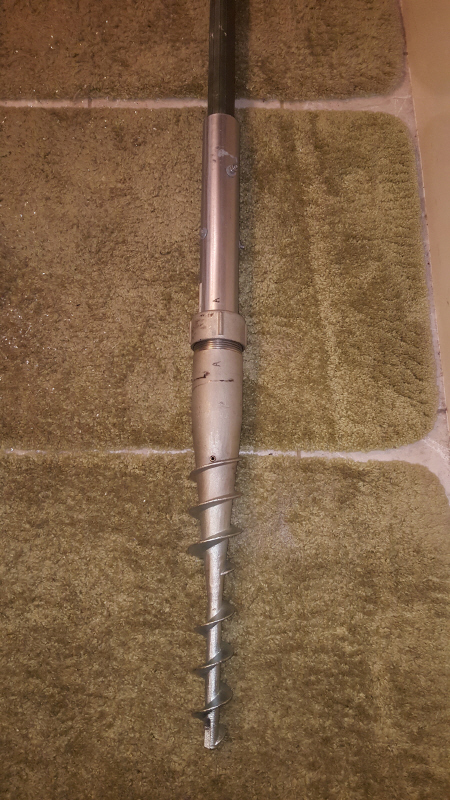 Here are some additional pictures showing Mikes tower. His tower has as very high pivot point but the HexLock is able to swivel past 90 degrees so it works. 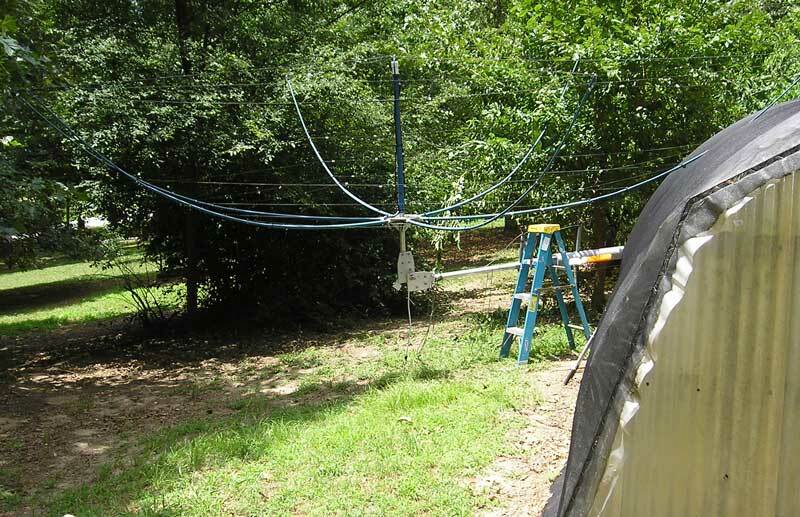 You can also see his all band sky wire in the background. It's a 527 ft long loop. Suspended between 4 tall pine trees in a rectangular pattern. 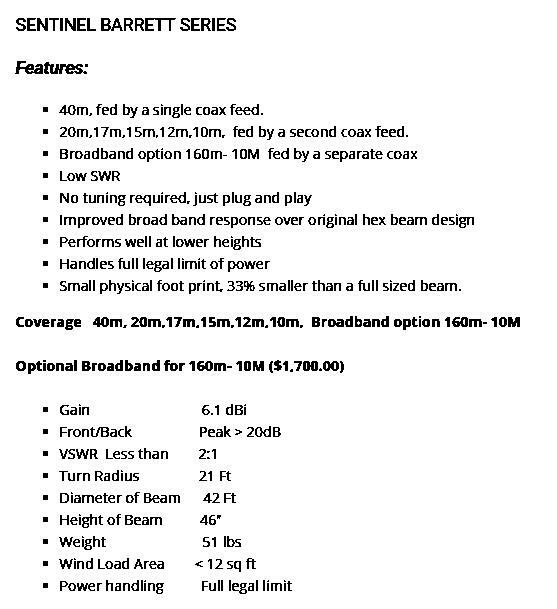 100 ft wide and somewhere's close to 200 ft on the long sides. 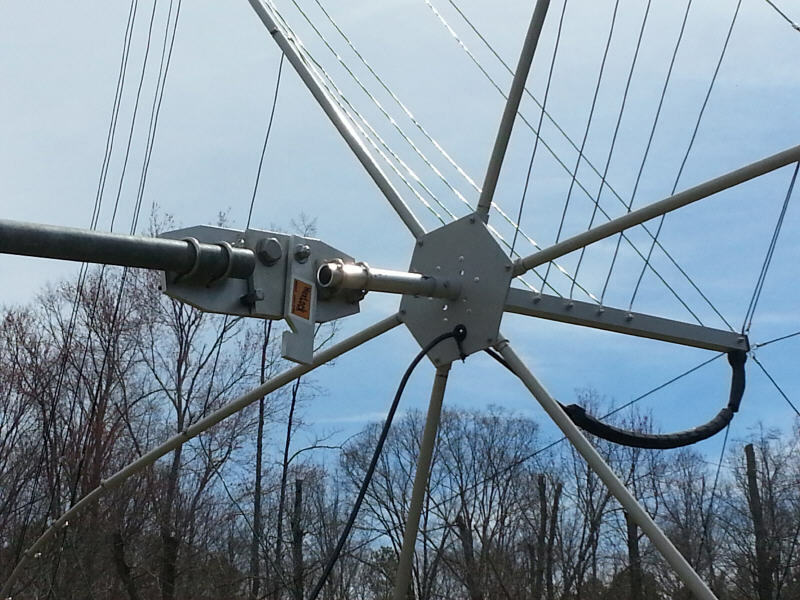 NA4RR Hexagonal 6 band beam on a 35 foot tower. 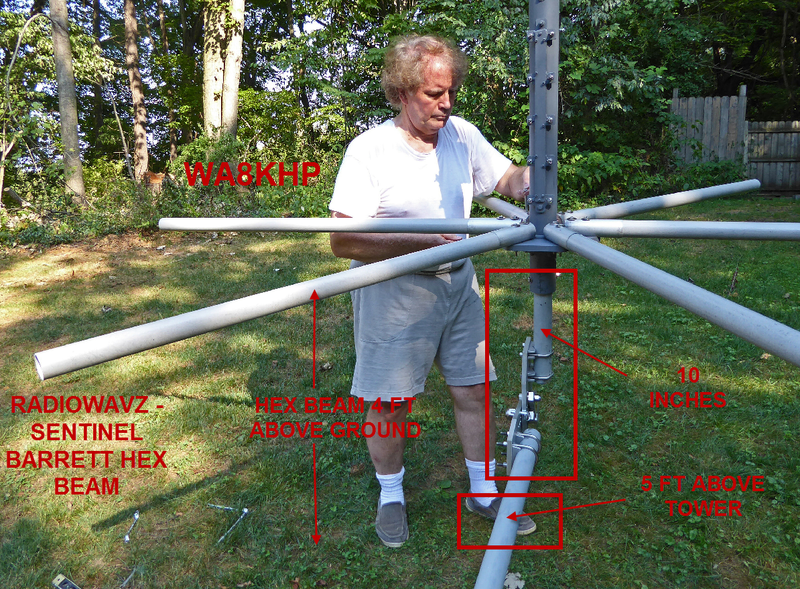 Click here for the NA4RR Hexbeam page and more information on the antenna. 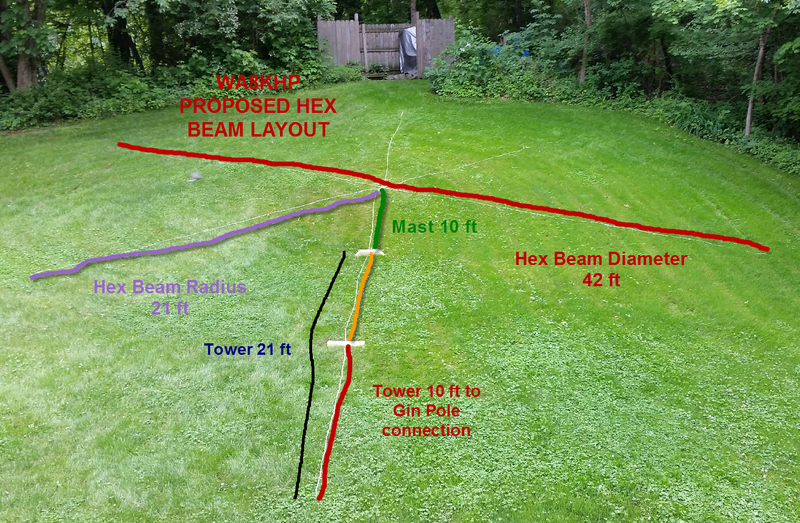 I built the Hexagonal beam on the HexLock at ground level. 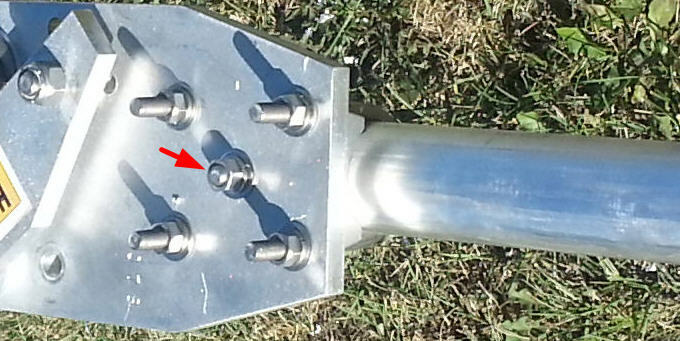 The optional locking pin is installed to allow the antenna to rest on it. 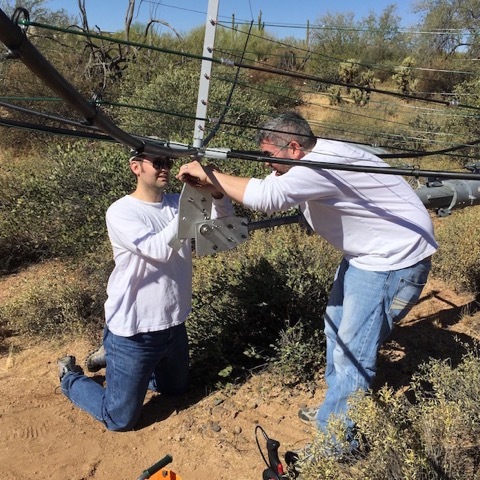 Roger / NA4RR supplies a section of heavy wall mast drilled to mount the antenna. 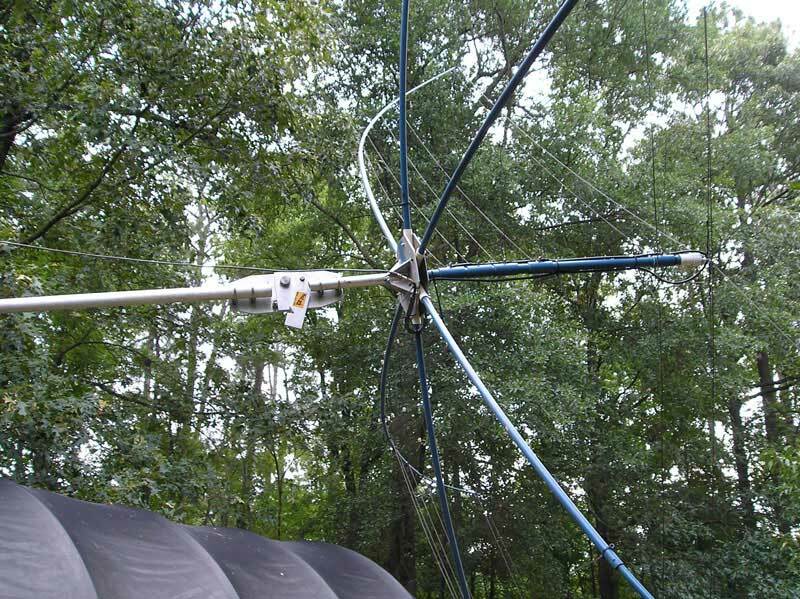 For use with the HexLock I cut it off at 10 inches to keep the antenna close to the HexLock. It could have even been a few inches shorter. 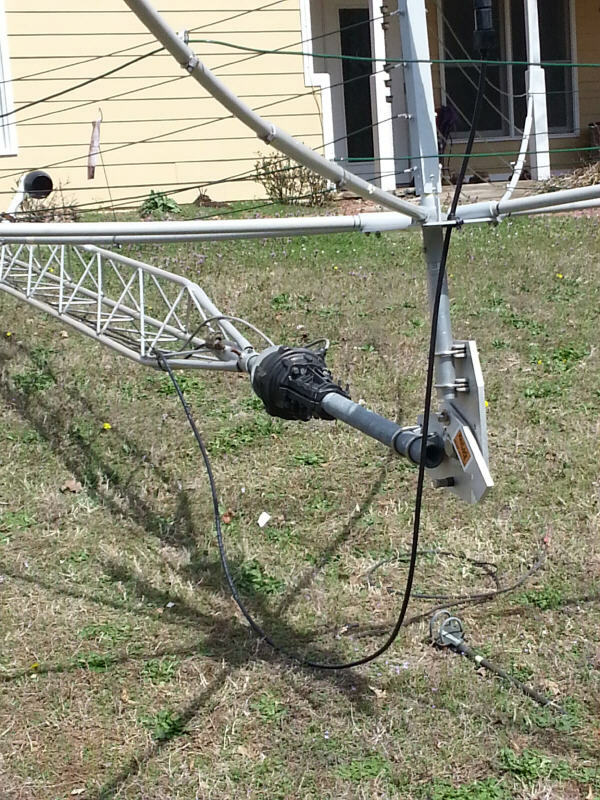 You can see the optional locking pin being used to rest the antenna leaning slightly toward the tower. Tower is being raised up. Plates are closed. If you want to use the optional pin lock, now is the time to move it into position. 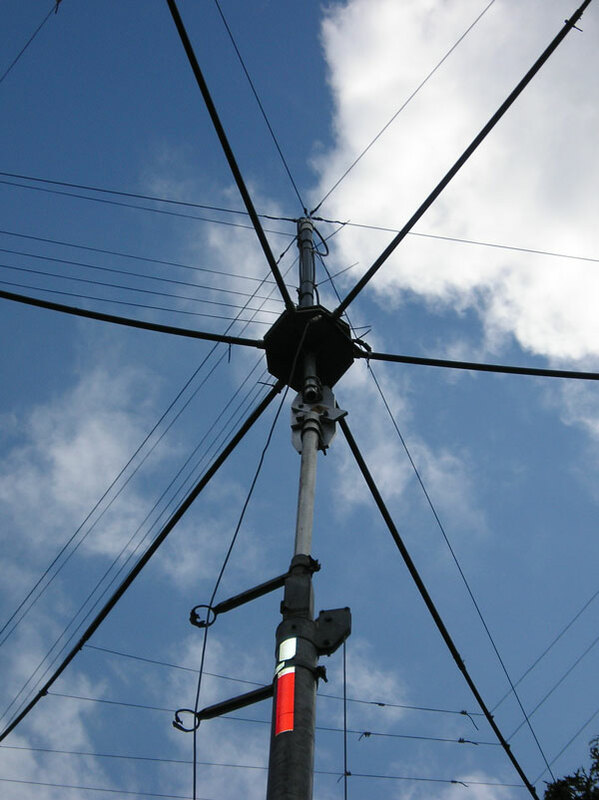 Click here for more information on the antenna from the RadioWavz web page. 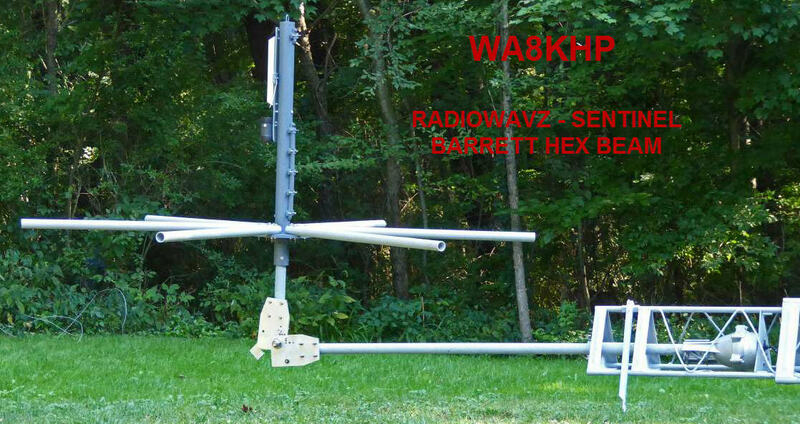 Since this is a very large hexbeam I used a rope layout before I purchased the RadioWavz Sentinel Barrett Hex Beam at Dayton 2015 to verify that it would work with your HexLock. 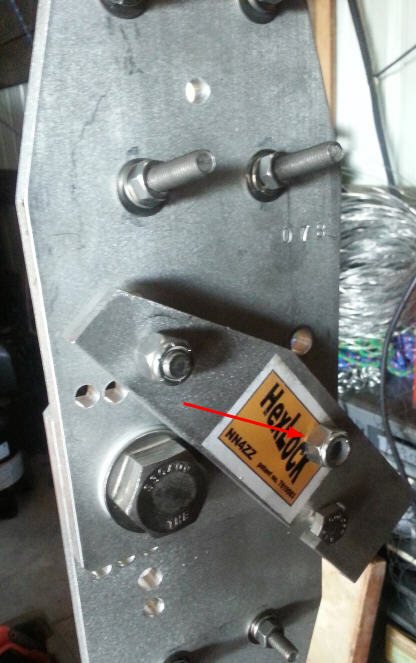 Closeup of the HexLock assembly. The optional LOCKING PIN has a storage location but to be sure it didn't get lost I attached it with a cord. 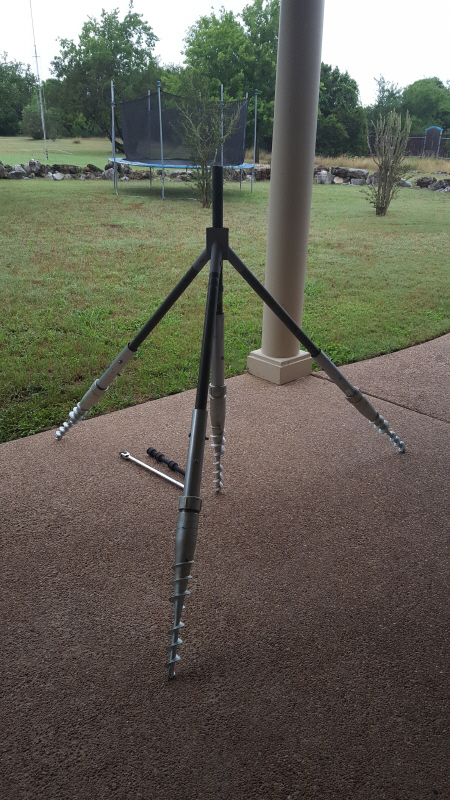 Hex Beam at 30 ft to do more testing before I raise it to 61 ft as my TH7 is at 30 ft. 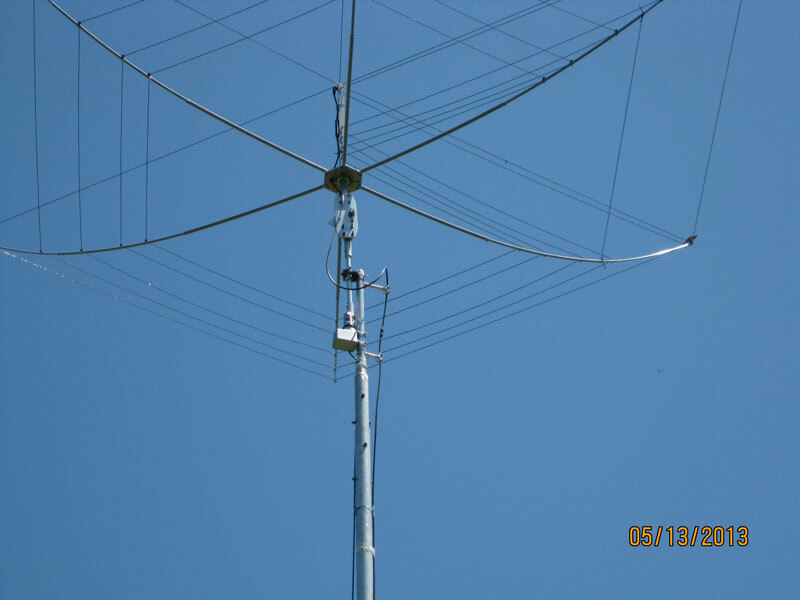 I am VERY EXCITED about my initial testing results and looking forward to putting the antenna at 61 ft.
Ron / AF0V lives in North Dakota where they frequently have 80 MPH winds. 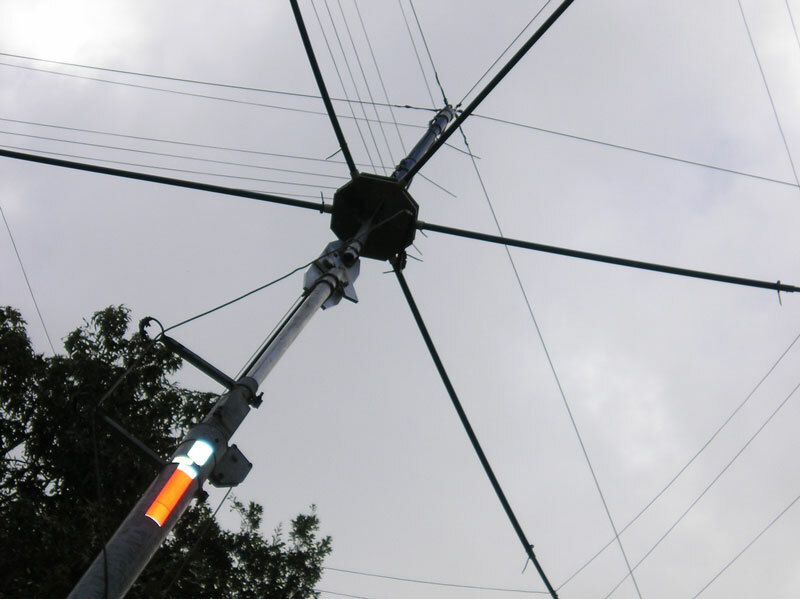 His application is a very large 160-10M hexbeam, a Sentinel hexbeam that covers 160M - 10M. Look closely and you can see the spider decoration on his spare pulley. Pretty cool and here is a close up. 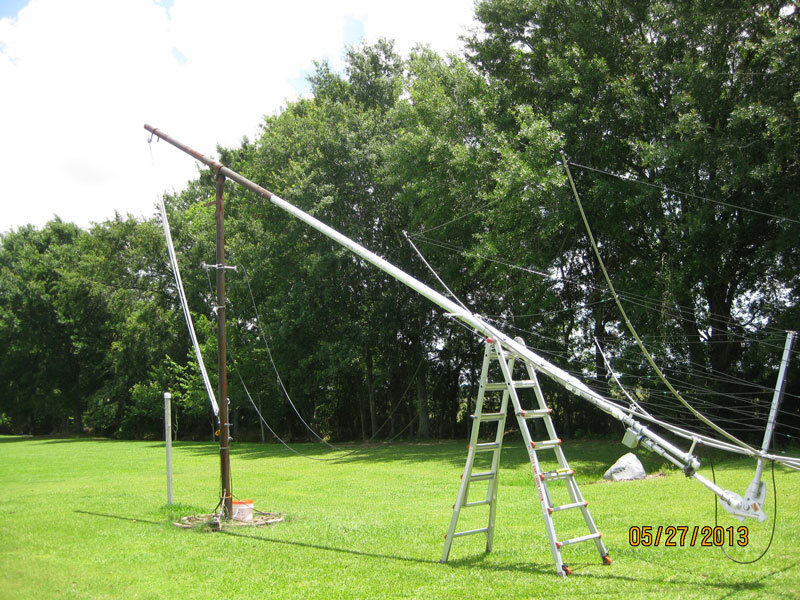 Because of the frequent high winds, he decided to pin the mast during his installation as a precaution. as above, overkill never hurts. 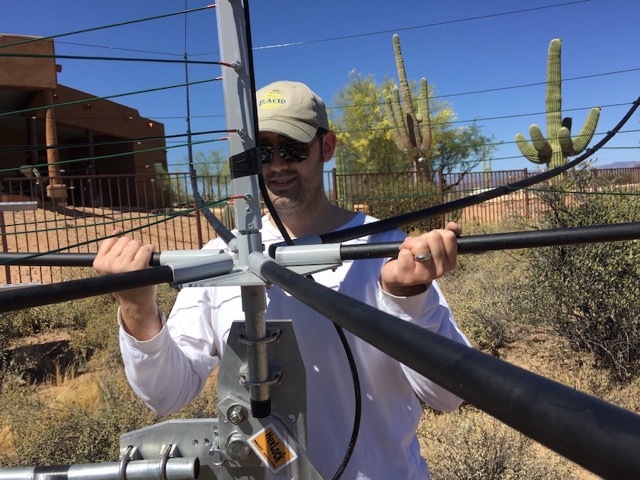 "The antenna has survived up to 70mph gusts, I did notice that it should be turned to "knife edge" the hex lock into the wind it gives a little more stability in the gusts also it takes about half the hex lock wind load off the tower, I used a I/2" bolt to lock the lock so it couldn't move, and yes I need to get the 10' steep ladder out to remove the bolt before I can lower he tower all the way but I don't have any play in the mount that way. I think your mount would work just fine without the modifications if I didn't have such a serious wind problem here. 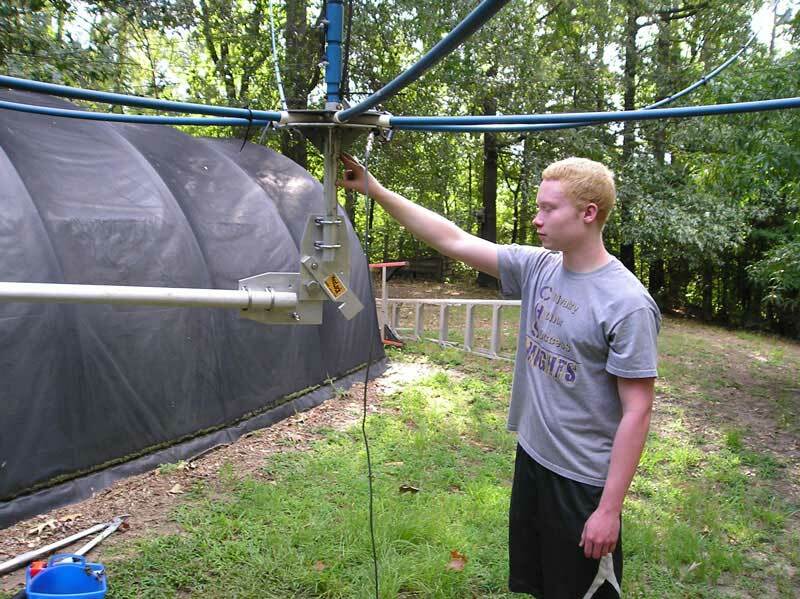 Roger is the manufacturer for the NA4RR Hexagonal beam. 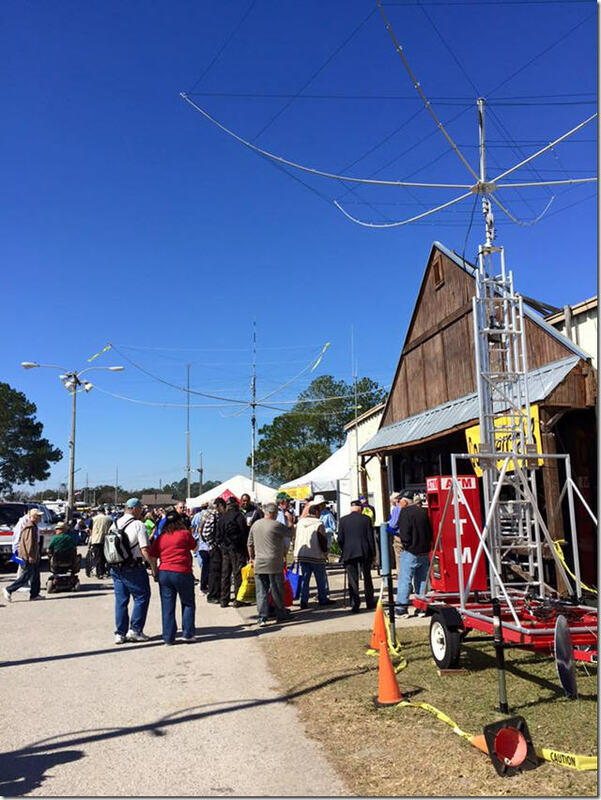 The picture below is from the 2015 HamCation where he had one of his antennas and a HexLock on a mobile trailer outide the exhibition hall. This would be a nice setup for field day! 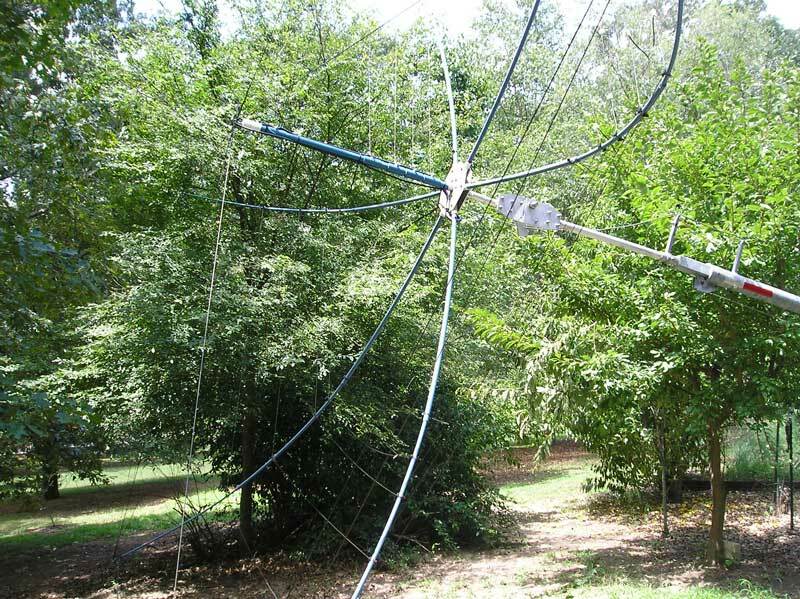 Click here for the NA4RR Hexbeam page and more information on the antenna. 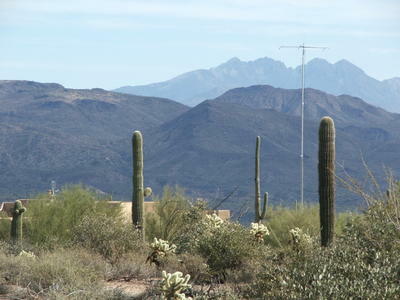 In the picture above, looking due east, the QTH borders the 3 million acre Tonto National Forest. Four Peaks in the background graces the majority of all Arizona automobile license plates. Jesse was amazing. He cranked that tower horizontal and vertical like it was easy. Wish I were still young and strong. Picked up a Hex-Lock from NN4ZZ. No more ladders at the business end of the tower. I guess Jesse lowered the tower a bit too far. 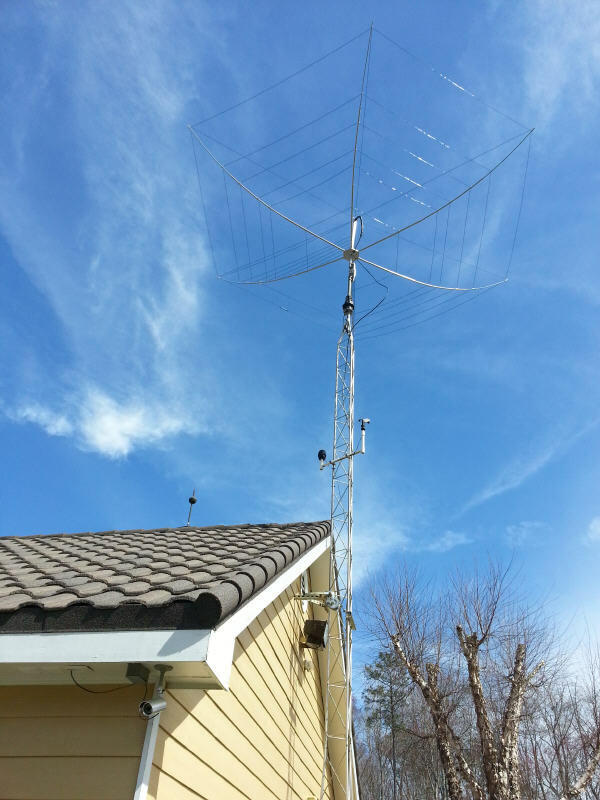 Your pictures could help someone that has a similar antenna or tower setup.